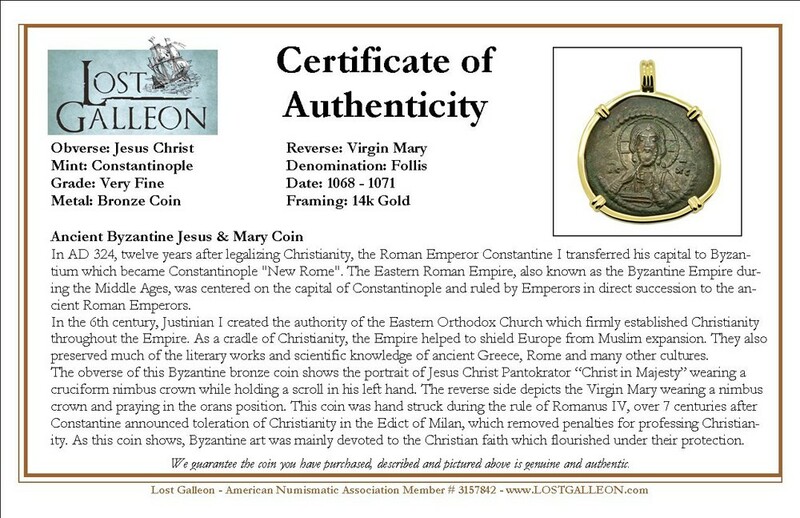 In AD 324, twelve years after legalizing Christianity, the Roman Emperor Constantine I transferred his capital to Byzantium which became Constantinople "New Rome". 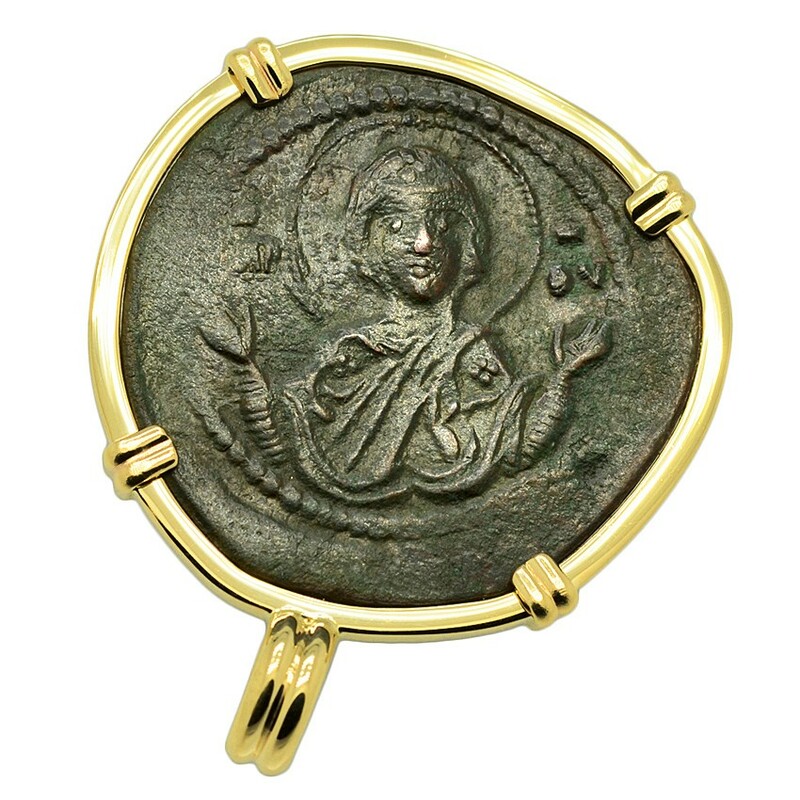 The Eastern Roman Empire, also known as the Byzantine Empire during the Middle Ages, was centered on the capital of Constantinople and ruled by Emperors in direct succession to the ancient Roman Emperors. 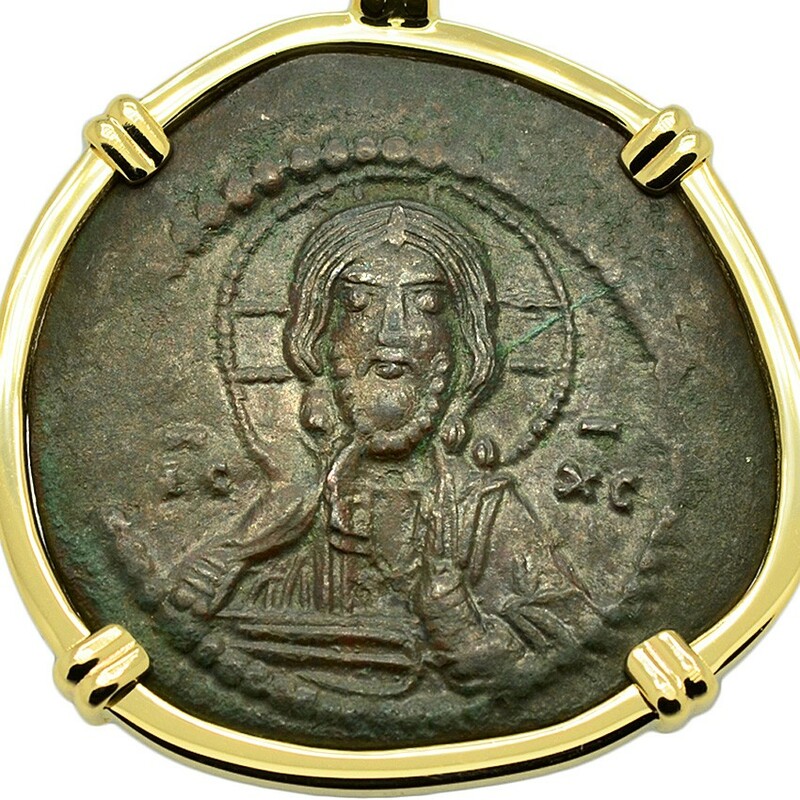 The obverse of this Byzantine bronze coin shows the portrait of Jesus Christ Pantokrator “Christ in Majesty” wearing a cruciform nimbus crown while holding a scroll in his left hand. 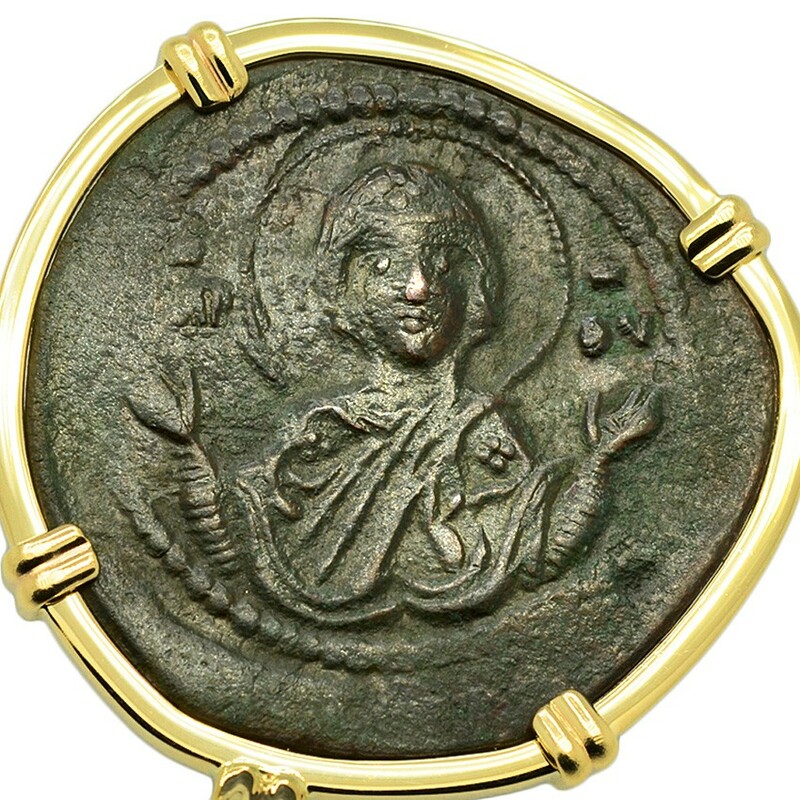 The reverse side depicts the Virgin Mary wearing a nimbus crown and praying in the orans position. This coin was hand struck during the rule of Romanus IV, over 7 centuries after Constantine announced toleration of Christianity in the Edict of Milan, which removed penalties for professing Christianity. 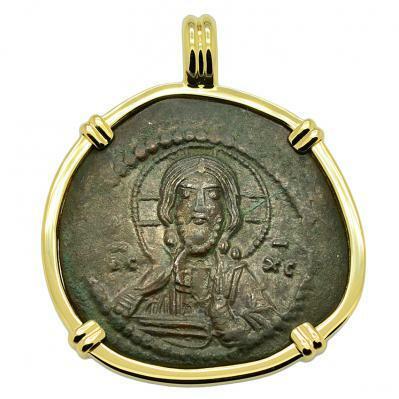 As this coin shows, Byzantine art was mainly devoted to the Christian faith which flourished under their protection.